One thing I know about testimonials… they work lol. But they can also come across a little hokey or “made up” despite the regulatory laws governing that kind of thing. We have some amazing testimonials from real business people who have profiled their full names and business names. BUT I wanted to step it up. Last week I was chatting with a client who told me she turned a $17 investment on one of our products into $357 in sales in a day. So I got her to agree to do an interview and share her story and she happily agreed to also let me post it as an audio testimonial. What do you think? Pretty cool huh? There’s only one word that truly describes the awesomeness…. I spent a good 2 hours reading content from other marketers and business owners and studying their sales processes. I also made sure to pay attention to people who are running similar businesses to my membership program. I sent around 10-15 private messages to some of the folks who really stood out. I simply introduced myself and suggested we sat down to exchange ideas. I think this is a basic business skill that many people forget to do. Traditional networking works and for me, I LOVE doing it. So much fun and you learn so much from other people. I have been running a short-term mentoring program on the Warrior Forum helping people who want to go from employee to entrepreneur. I’ve done a few short promos but the 15 or so mentoring students were all awesome and it was one of the most rewarding things I’ve done in my business this year. I’ve had a number of people approach me about the mentoring and they have said they will be enrolling soon. Instead of making them pay for the mentoring, I am going to offer 10 free seats in my mentoring program to people who join my membership site as a platinum member. 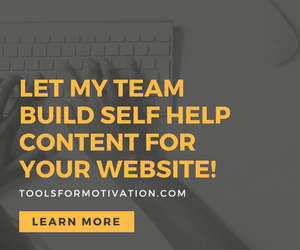 As I explain in the video, almost all of my clients end up needing PLR content anyways, so I think it would be a very logical fit for those folks.